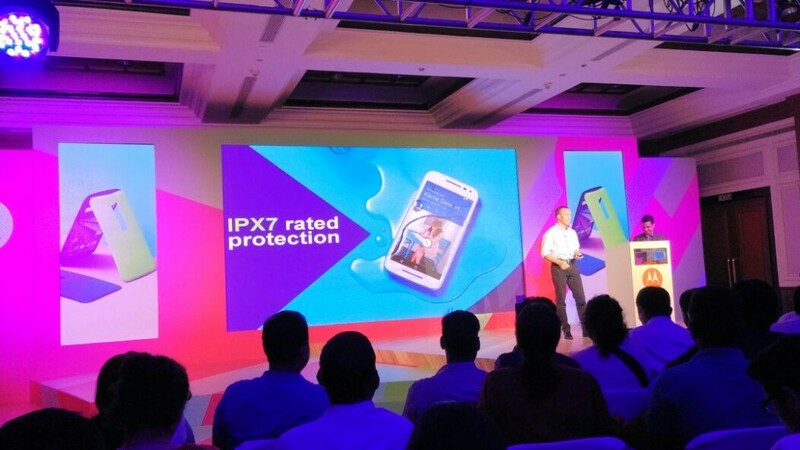 Motorola unveiled the 3rd generation Moto G. The mid-range handset competes with other devices in the same segment not just in terms of specs, but by also offering many other customisation options and features. The handset features a waterproof design with an IPX7 rating, which means it is certified to survive in up to 3 feet of water for up to 30 minutes. As for the specs, the 3rd generation Moto G comes with a 5-inch 720p HD display, a quad-core Snapdragon 410 processor, 1/2GB RAM, 16/32GB of storage space, a microSD card slot, and a 2,470mAh battery. The phone also features all the usual connectivity options, including LTE, Wi-Fi and Bluetooth. 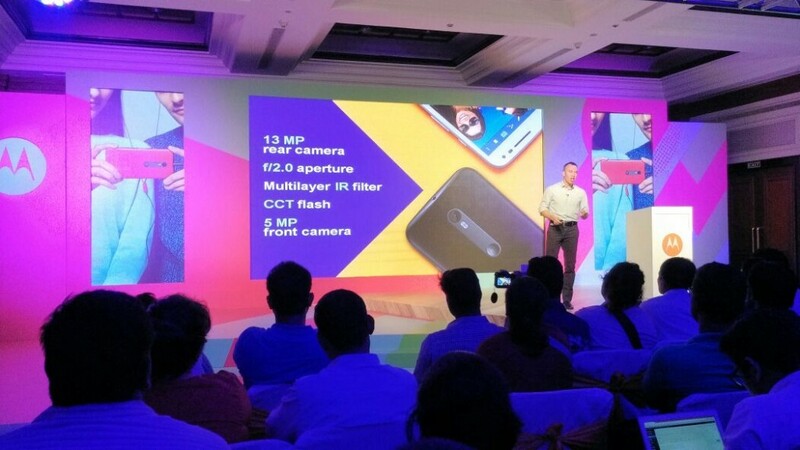 As for the camera, the Moto G 2015 comes with a 13MP shooter at the back with an f/2.0 aperture, a multilayer IR filter, and a CCT flash. The rear shooter uses the same sensor as the one used on the Nexus 6, so the camera performance of the 3rd generation Moto G should be pretty decent. On the front, there is a 5MP shooter for all your selfie needs. 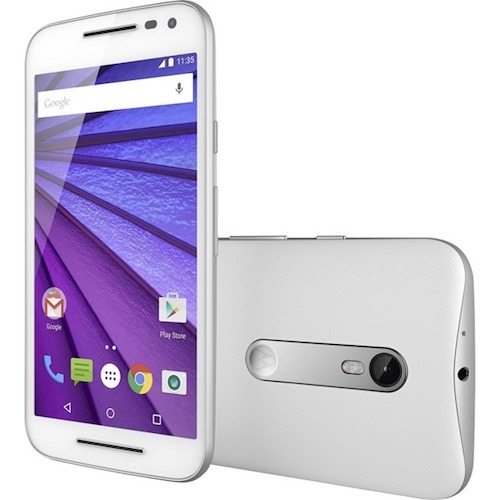 On the software front, the Moto G 2015 comes with Android 5.1.1 Lollipop. The handset offers an experience that is very similar to stock Android, though it does come with a few handy features and gestures. The first one is Motorola’s popular Moto Display, which made its debut on the Moto X in 2013. With this feature, the Moto G’s display will automatically ‘breathe’ to notify you of any unread notification when it is lying on a table or you pick it up after a period of inactivity. Secondly, the handset features Quick Capture that makes it possible to launch the camera by simply twisting the phone in a screwdriver like motion — even when it is sleeping. There is also a Chop twice gesture making it possible to start the flashlight/torch in no time. 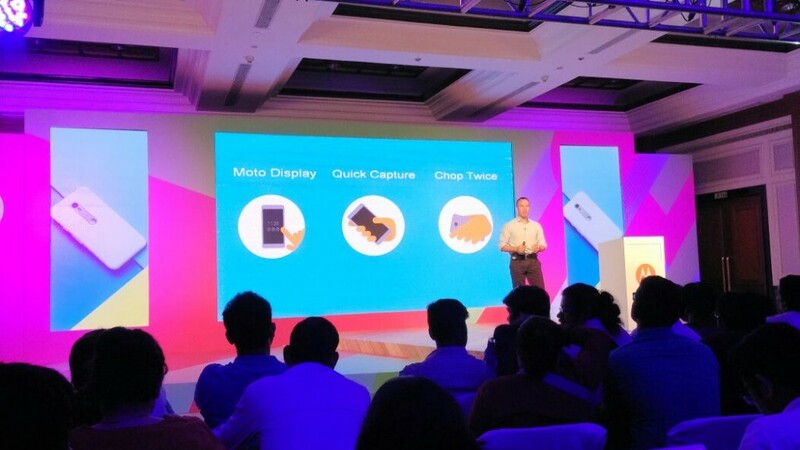 The 3rd generation Moto G will go on sale in India exclusively on Flipkart for Rs. 11,999 and Rs. 12,999. The former comes with 1GB RAM and 8GB of storage space, while the latter comes with 2GB RAM and 16GB of storage space. The company will also be bundling some launch and exchange offers for early buyers of the handset.